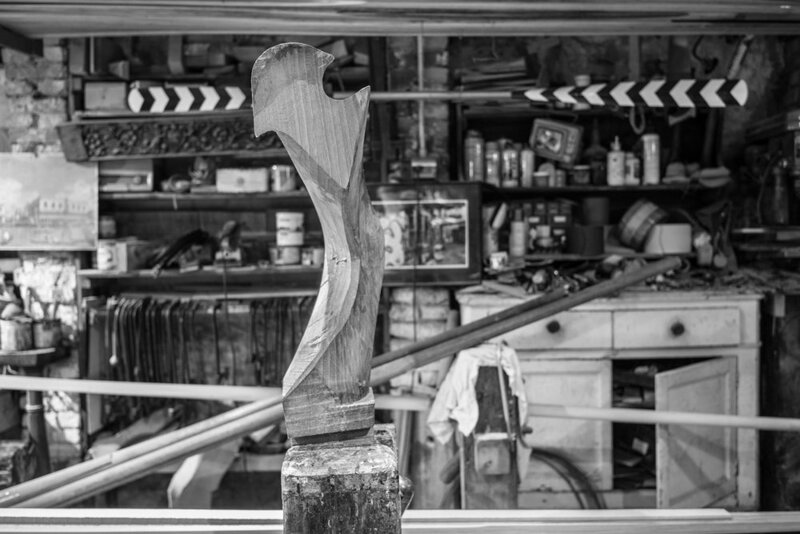 A Photo Tour inside the workshop of a "Remér". The making of a "Forcola"
The “forcola”, the rowlock on which the oar presses and bends, stops and brakes with a versatility that no other craft possesses. These are the words of Professor Alvise Zorzi, in the preface of my book "Gondolas" published by Biblos in 2009. And from the “Reméri”, those who build oars and oarlocks I will start my story about the birth of the world's most famous boat: the gondola. Who are the remèri? They are skilled carpenters in the construction of oars and oarlocks ("the strong piece of wood on which the oar presses while rowing"), the two elements on which relies the dynamic balance of a gondola. That 's where the focus of the movements (premer and stalìr) through which the gondolier governs the boat, keeping it in balance. The “Remér” brings out from the wood oars and oarlocks forms: bare and smooth the shape of oar, strong plastic that of the oarlock. For me, entering with a Leica in hand in one of these workshops in Venice, there are just four in all, is exactly like taking a dip in the history and art of this ancient craft, tied to the ancestral Venice’s aquatic dimension. In fact, the official ratification of a first group of rules aimed to regulate the activities of these craftsmen (the so-called Mariegola) dates back to September 15, 1307, more than 709 years ago! The link to the Association who takes care of the traditional construction of the gondola.